ESCANABA — Hunters came out of the woods Saturday night for the annual Trails and Tales Outdoors Radio Deer Poll event at the Hilltop RV Superstore in Escanaba. One of those was 7 year-old Archer McGraw who shot a fork horn on opening day of the Firearm Deer Season Thursday. 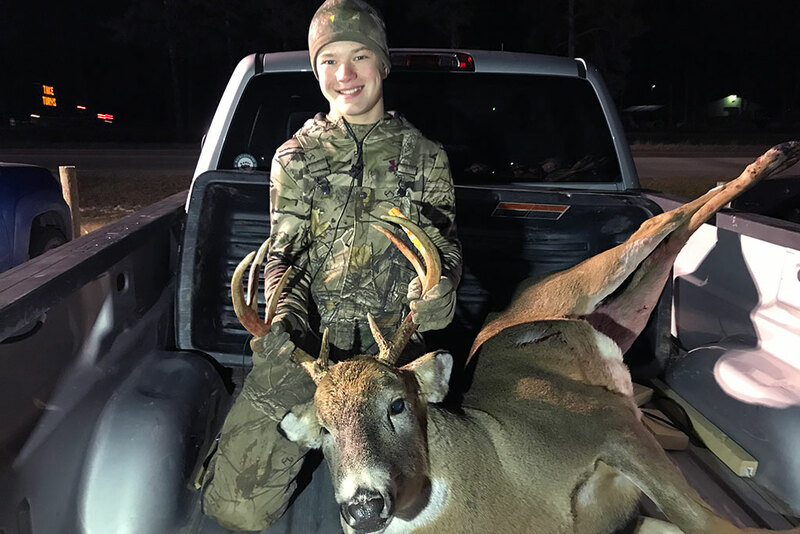 “My dad was going to get the camera cards and he saw a four-pointer so he came back and got me but I couldn’t get the four-pointer so we kept going up the road and we saw another buck and I shot it,” Archer recalled. 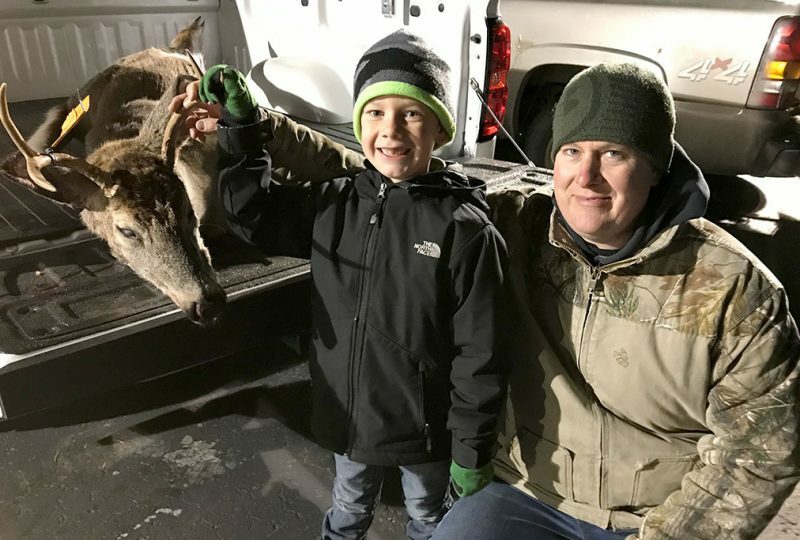 Archer’s father Jeff said Archer was pretty excited to shoot his first deer. It was something they have been working towards for awhile. It had been seven years since Nicolas Olson of Gladstone last took a buck. The one he brought to the Deer Pole Saturday was a nice 8-pointer. “I saw him first morning, early light at 6:30. I could just see him. He was running next to me, chasing a doe. He ran across the road I’m hunting down a couple of times. I could never get a shot, he was too quick. I decided to wait it out and sit all day. Right at 12:10, 12:15, he stepped out onto the road and was pawing at a scrape and I shot right there,” Olson said. Olson said he’s never had success at that time of day. 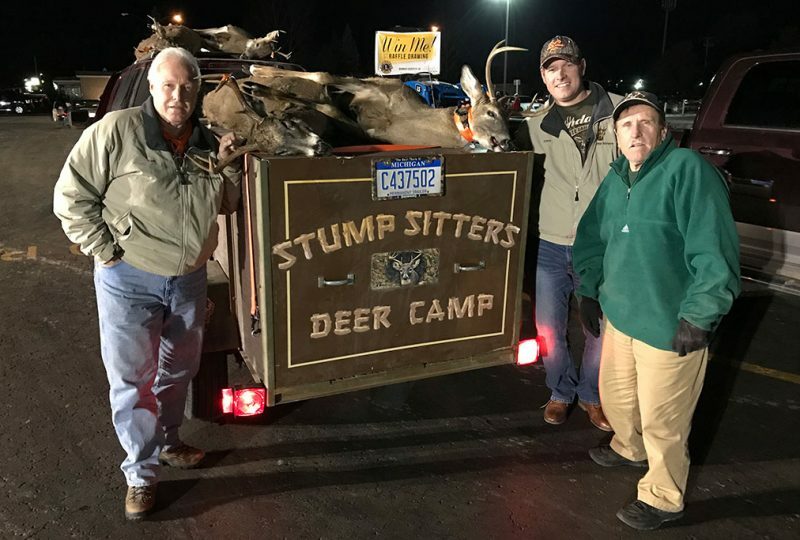 Four bucks were brought in from the hunters at the Stump Sitters Deer Camp in Cornell. 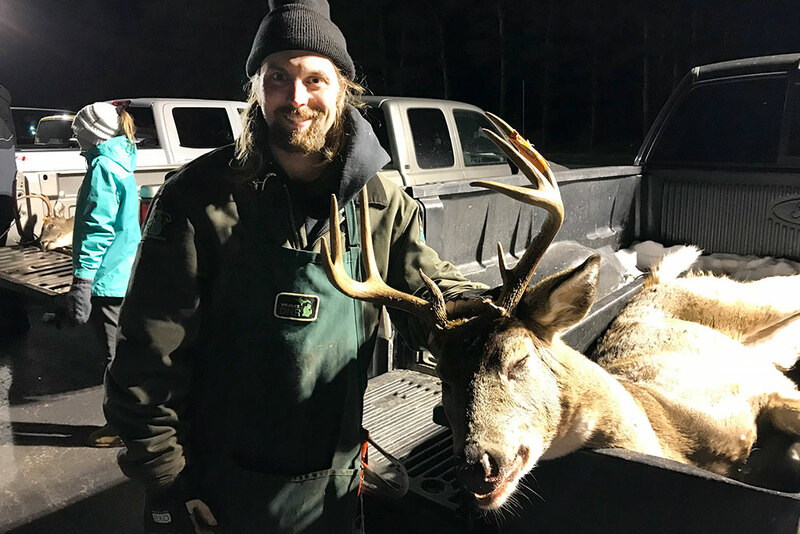 Tom Tompkins of downstate Canton says their deer camp was pretty successful this year. Colter Lubben of Trenary has been trying a more traditional way of hunting deer. This year, it paid off. 13-year-old Austin Nelson of Escanaba shot the biggest buck in his five years hunting. Stacy Haughey, DNR Upper Peninsula regional coordinator, was at the Trails and Tails Deer Pole Saturday. She talked with hunters and handed out brochures about chronic wasting disease. She said they have been getting a lot of questions about CWD now that a deer has been identified in the Upper Peninsula. She said they want hunters to know how to handle the deer they harvest. “It’s really important to take a look at what the regulations are and make sure you’re not moving your carcasses, disposing of them correctly. Go to michigan.gov.cwd, call the office for the information. Takes the precautions and feel free to get them tested,” she said. Testing can be done by taking the deer head to DNR check stations, including Escanaba and Norway. She says the best thing that hunters can do is continue hunting. Mike Brady of downstate Charolette had the largest buck at the event with a score of 126.2. Gary Beer of Hamberg won the rifle. Jessica Poe of Rapid River won the muzzleloader. The youth rifle was won by Hunter Larsen of Escanaba. The youth muzzleloader was won by Drake Degnan of Escanaba. 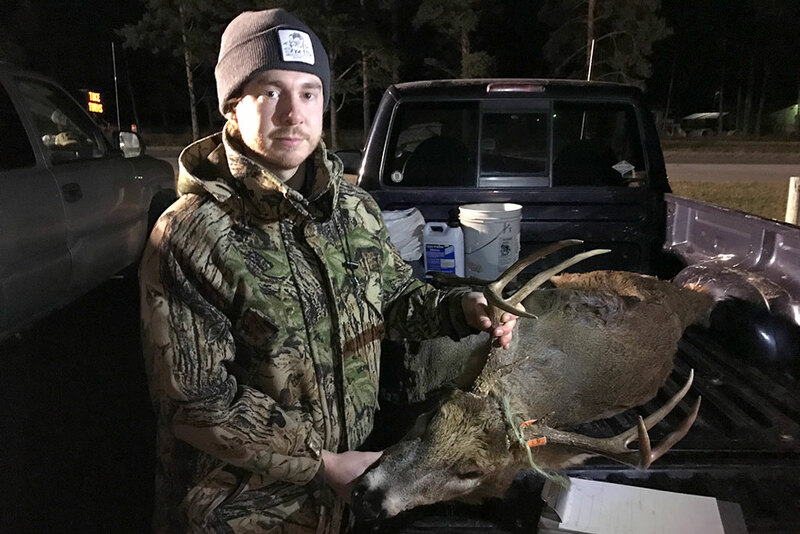 Share the post "Successful hunters share hunting stories at annual Deer Poll"
Categories: Delta County, Featured, and Hunting & Fishing.